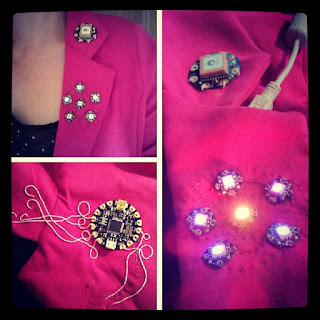 Wearable electronics projects are incredibly popular. Adafruit lists 188 tutorials in their Wearables category, and there are many Arduino-compatible microcontroller boards aimed at wearable projects. Today we'll take a look at three of them (Gemma, LilyPad, and Flora) with a quick peek at a fourth (Adafruit's Circuit Playground). Like most Arduino boards, the wearable boards emphasize simplicity and ease of use for specific functions. All three discussed below have the same round form factor and alternating outputs that can use alligator clips, conductive thread, or more traditional soldered connections. They don't offer the traditional GPIO outputs of the Arduino Uno, but instead supply a wearable-oriented platform. They also all use ATMega chips, the standard for Arduino. You connect to the board with a micro USB connector, like the Flora. The Gemma can be powered over USB or via the battery connector (off-white plastic in the image above) for maximum wearable portability. The Arduino IDE can connect and upload programs to the Gemma, making it easy to get started for those already familiar with the interface. The lack of serial support can be a problem when debugging sensors, but the Gemma isn't really aimed at those sensor-intensive projects. The Gemma has two pulse width modulation (PWM) ports and one analog port. Pulse width modulation uses digital outputs that are either on or off (a binary state) to mimic analog outputs by varying the amount of time the signal is on. In practical wearable terms, the Gemma has three pins it can use for fading LEDs, for instance (in addition to its power pins). The Gemma has been used in some pretty cool wearable projects. I think my favorite might be the Iron Man arc reactor project, but I'm an equally big fan of the pixel heart (and I'm really a sucker for anything Becky Stern does). The common thread for Gemma projects is that they're almost exclusively centered on LEDs, with one sensor or an additional board. The Gemma is a minimal (and cheap) entry point, leading to equally minimal projects. The LilyPad is the Gemma's big sibling, with a few key differences. The LilyPad has many more output pins (14 digital, 6 analog), twice as much memory, and is nearly twice as wide across. It is also somewhat less user-friendly from the outset, because unlike the Gemma it doesn't support a USB connector. Instead, you need to connect over a serial connection. Of course, the serial interface is preferable to some hackers working with a lot of sensors, as mentioned above. Personally, I have found serial connections to be vastly more intimidating for the new hacker. Most interestingly, the LilyPad is washable. You read that right - you can hand wash your garment without removing the LilyPad (at your own risk). Obviously you have to remove the power supply, but being able to gently wash the garment with the board attached is a great boon to wearable projects. Clothing gets gross quickly, and it would be great if the project could last longer than a few wearings without requiring significant re-stitching. Otherwise, the LilyPad offers similar capabilities to the Gemma. And like the Gemma, it has been used in many cool projects. SparkFun's Dungeons & Dragons dice roller gauntlet is pretty amazing, and is a good opportunity to learn both sewing and electronics. The Flora is Adafruit's Arduino-compatible wearable development board. Adafruit also manufactures a line of compatible expansion boards, like a Bluetooth module. The Flora is quite a bit more powerful than either the Gemma or LilyPad, and is aimed at more advanced projects. One of the major differences between the Flora and the Arduino boards is the availability of detailed technical information. While the Flora's schematics are available, they're nowhere near as readable as the straightforward tech specs provided for the Gemma and LilyPad. In addition, you need to use the Arduino IDE's board manager to add the Flora and make it compatible with the IDE. These slight usability hiccups highlight how much effort the Arduino team puts into making their boards an ideal starting point for people with minimal electronics experience. It's not all bad, of course. The Flora's built-in power regulator means that it's nearly impossible to fry by plugging a battery in the wrong way, a significant risk with the Gemma. As has been the theme, it's also well-supported by great tutorials and projects! The Flora does have one particularly killer feature compared to the Gemma and LilyPad: a built-in RGB Neopixel LED, beyond the four indicator LEDs. For rapid prototyping or basic projects, that makes it an all-in-one solution. Otherwise, it's much the same as the LilyPad, albeit with a slightly more updated processor. It's even washable! My addition to the wearables list is Adafruit's Circuit Playground. I picked one of these up a few weeks ago, and I LOVE it. It's based on the Flora and has the same form factor, but includes a host of integrated sensors, LEDs, and switches for only $5 more. The board has an accelerometer with tap detection, a microphone, a speaker, a thermistor, a photoresistor, 10 RGB Neopixel LEDs, two push buttons, and a toggle switch. It is GREAT. 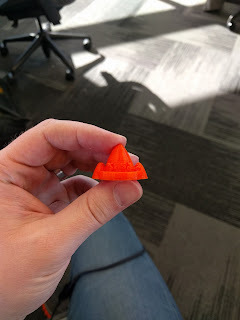 I recommend it for prototyping any wearable project (though it's out of stock at the moment). Enjoy this video of me, courtesy of me, being really excited after testing out some code on the Circuit Playground. It makes a really cool Star Trek communicator badge! Gemma: Ideal for super low power projects, usually involving LEDs. Plan to add just one sensor, if any. 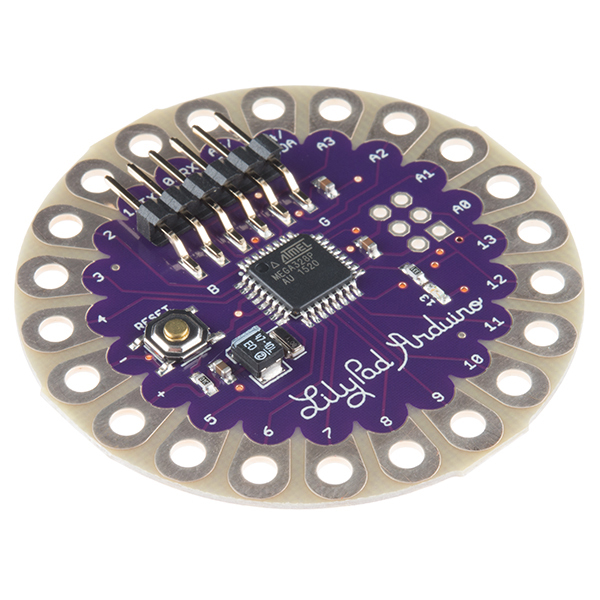 LilyPad: Great for washable projects or more complex circuits needing a variety of I/O pins. Get going right away with the Arduino IDE. Flora: The onboard Neopixel LED is great for rapid prototyping, and it opens up the Adafruit ecosystem. Requires more setup. Circuit Playground: Just pick this one, as long as you don't need to wash it. The onboard sensors and outputs mean you can take on many, many projects and it's incredibly easy to get up and running. There are some great microcontroller boards for use in wearable projects. They vary somewhat in terms of resources available and community support, but as Arduino-compatible boards there's no shortage of cool projects to make including sensors, LEDs, and switches. Crafted explores three groups of artisans who either make food or tools for making food. It highlights the artisans’ passion for their craft and their mutual focus on the human connections facilitated by their crafts. It also happens to be sponsored by Haagen Dazs. Crafted is a fascinating film in many ways. First, it’s sponsored by Haagen Dazs and directed by Morgan Spurlock, a filmmaker most know from Supersize Me. Second, it’s brief. So brief, in fact, it could fit into a half-hour time slot on television with room for commercials. Third, it creates an unusual sense of temporality. Spurlock is a natural choice for Crafted. His reputation is for relevant, timely films, and Supersize Me established him as a food-conscious filmmaker. Making a film focusing on the hand-crafted artisans behind food production is a perfect counterpoint to Supersize Me and the dangers of fast food for a company looking to position itself in the next big thing for food. The makers profiled by Spurlock include Luke and David, the bladesmiths behind Bloodroot Blades in Georgia, Cortney and Nick from Bar Tartine in San Francisco (now closed in favor of MOTZE), and Yuji Nagatani of Nagatani-en in Iga, Japan. Cortney and Nick are the chefs of the group - while cooking features heavily in some of the scenes from Iga, Yuji Sensei is not himself a cook, though he is very clear that his business depends on making connections to those who cook. Like both Bloodroot Blades and Nagatani-en, Nick and Cortney of Bar Tartine explicitly connect their business to a nebulous “past”. They describe their cuisine as fusion, searching for recipes “made by a grandmother” with “soul”. Their process, depicted in butchering and making feta cheese, can only be described as serendipitous. If you’re someone who wants your chef to cook with measurements or precision, you may find it concerning. Bar Tartine is full of aging and fermenting dishes, allowing Cortney and Nick to develop the restaurant’s signature flair. While watching Crafted for the first time, not knowing that Haagen Dazs commissioned it, the food focus really stood out to me. When the “Commissioned by Haagen Dazs” message played before the credits, though, it certainly made sense. The film is a masterful piece of marketing by the ice cream company, even though the brand isn’t introduced until the very end. It also underscores the extent to which mass-produced enterprises are exploiting the obsession with handmade goods. It’s important to note that each of the groups of artisans featured are also pursuing their craft as a full-time profession. David and Luke are the only ones to describe their transition from hobbyists to professional craftsman. By contrast, Yuji Sensei is the 7th master potter of Nagatani-en. Each also describes their work as more than just a vocation, of course. The craft is also a way of life. Nick describes Bar Tartine as more their home than the place they sleep, and he and Cortney debate whether they “push themselves hard” or are merely busy, deciding ultimately that they push themselves. Their work is all-consuming, and they consider themselves lucky to be able to build their lives around it. Crafted follows the structure of its artisans’ days, beginning and ending with soft light and relative quiet. David and Luke chop wood and light their equipment; Cortney and Nick run to Bar Tartine (the viewer wonders whether they shower on-site - checking the health inspection reports, one finds no violations); Yuji Sensei joins in the morning exercises with his workers. This morning time is the mise en place of the film, grounding the viewer in the artisans’ worlds. For David and Luke, it’s a very earthy feel, while Yuji Sensei lives and works in a multi-generational community. Cortney and Nick are part of a city waking up, the splashes of color and activity that define their food. The film’s early grounding proves important for contextualizing how the artisans view themselves, and the time and place of their work. They all view themselves as nexuses - tradition and modernity come together through their work. Yuji Sensei is the culmination of generations of potters. When economic downturn struck and Nagatani-en struggled, he returned to traditional products to stay in business. Cortney and Nick search for recipes and ideas likely passed down through oral traditions, and David and Luke blend a mix of traditional smithing with new techniques and materials, like repurposed car parts. To each, the craft is something that exists beyond its practitioners. It connects them across space and time, and they feel empowered by its practice. Of course, with such a short film there’s little time for actual community. David and Luke say they’re part of a community of artisans, such as the friend who made David’s cello, but none actually appear in the film. The employees of Nagatani-en are the closest we get - otherwise, the bulk of the other people in the film are customers. This remains the most interesting yet unfulfilled moment for me - I am left wondering what their communities are really like. How do they communicate? Where and when do they teach and learn? How does community shape the practice of the craft? Crafted is incredibly well-made. It feels trim, with no useless elements, though I wouldn’t describe it as a film full of explanations. It leaves you wanting more, as any good piece of marketing (or food) should, but poses more questions than it answers. I would love to visit each of the artisans myself, watch them at work and spend a day in their shoes. Crafted is a window into a beautiful, relaxing world that I can’t help but want to be a part of.